Family Pajamas Deal of the Day! “No, I’m good,” my husband casually called back from the living room. “But you don’t have any khaki pants right now. What if we get invited to a wedding?” I thought my rationale was strong. And so went my attempt to spruce up my husband’s fall wardrobe. While I like variety in my wardrobe, my husband seems content with comfort, reliability and the usual suspects. I don’t know if any of you can relate, but surely my husband is not the only man out there who hesitates when it comes to trying a new trend. So for all of you out there with a man in your life who you’re hoping to help look his best for the holidays, I have picked out 4 men’s fall fashion finds that are both on trend while still embracing classic style. And better yet, they’re each on sale during the Macy’s Thanksgiving Preview Sale. 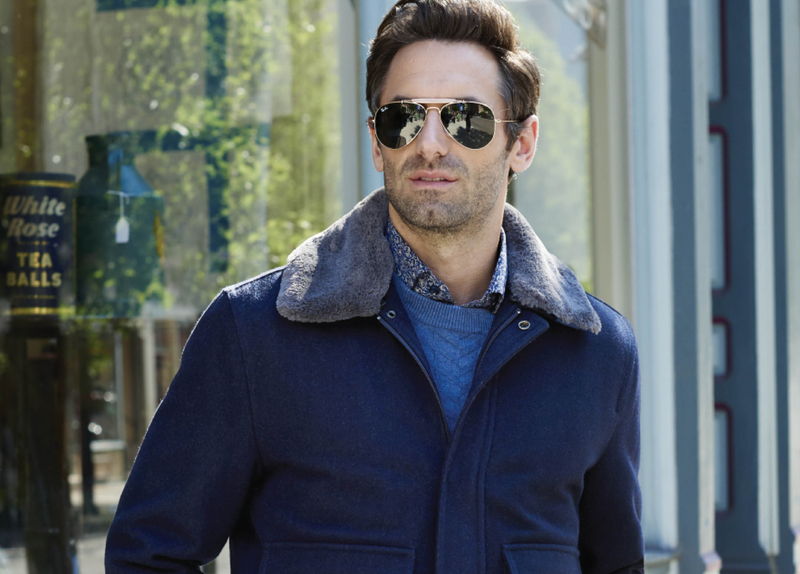 Each of these men’s fashion finds can be seamlessly integrated into your man’s closet this season and at these prices, you can try all four! Shop these great looks at Macys.com today.